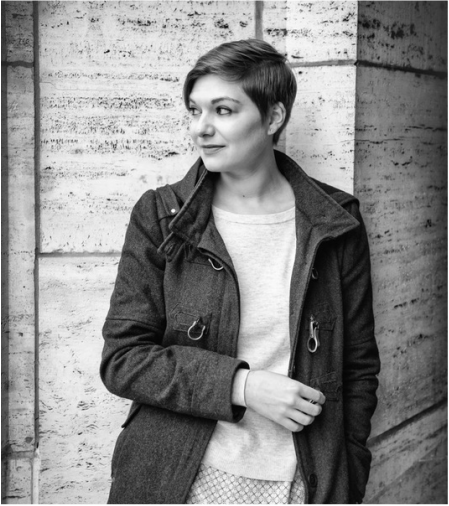 Emily Schwend's plays include UTILITY (The Amoralists in New York City, Orange Tree Theatre in London, Interrobang Theatre Project, 2016 Yale Drama Series Award, 2017 IT Award for Outstanding Premiere Production of a Play), THE OTHER THING (Second Stage Theatre Uptown), TAKE ME BACK (Walkerspace), SOUTH OF SETTLING (Steppenwolf's Next Up Rep), and SPLINTERS (CUDC Source Festival). She was a 2016-2017 Radcliffe Institute Fellow at Harvard University and the inaugural 2014 Tow Foundation playwright-in-residence at Second Stage Theatre. Her work has been developed at The New Group, Roundabout Theatre Company, ACT Theatre, Marin Theatre Company, Partial Comfort Productions, Ars Nova, the Alliance Theatre, PlayPenn, and the O’Neill National Playwrights Conference, among others. She is a frequent contributor to Christine Jones’s Theatre for One booth. She is the recipient of a Bogliasco Fellowship, a MacDowell Fellowship, the ACT New Play Award, the David Calicchio Emerging American Playwrights Prize, the Lecomte du Nouy Prize, and the Heideman Prize. Her work has been commissioned by the Studio Theatre in DC, the Ensemble Studio Theatre through the Alfred P. Sloan Foundation, and the Old Vic in London. She is a proud alumna of the playwriting programs at Juilliard and Tisch.